A sweater, sweatshirt, or light jacket. In past years, the thermostat in some of our classrooms has been set to "polar." The university controls the temperature, which means we may not be able to turn off the A/C in a timely manner. Also, summer nights in Ann Arbor are lovely but occasionally chilly, with temperatures dipping into the 50s or 60s degrees Fahrenheit (10-15 degrees Celsius). Your passport. A short tunnel separates Canada from Detroit, which is only a 45 minute drive from Ann Arbor. Many of our participants use the weekends to take short trips to nearby destinations, including our neighbor to the north. Sunglasses. When you're not in the classroom, prepare to be outside basking in the sunshine! Downtown Ann Arbor is filled with restaurants, cafes, bars, and beer gardens that provide outdoor seating, perfect for studying, relaxing, or hanging out with friends. 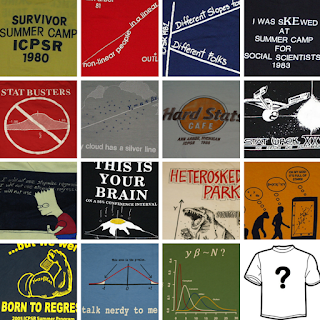 T-shirt ideas: Every year, participants in our four-week sessions are invited to submit their designs for the annual Summer Program t-shirt contest. The design that receives the most votes will be made into a t-shirt worn by your fellow participants and instructors for years and years to come.